The Cleveland Cavaliers, Houston Rockets and Sacramento Kings have completed a three-team trade, according to multiple reports. 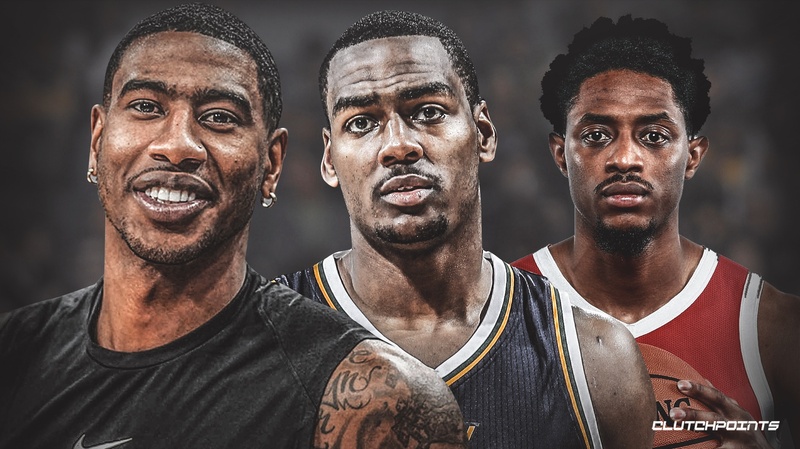 Iman Shumpert is headed to the Rockets, Alec Burks and a second-round pick are headed to Sacramento, and Brandon Knight and Marquese Chriss are headed to the Cavs. The Rockets have been trying to add wing help since they parted ways with Carmelo Anthony all the way back in November. Iman Shumpert will provide perimeter shooting, toughness, and rugged defense to a Houston team which is playing very well right now. Shumpert is averaging 8.9 points per game this season while shooting 38.2 percent from the field and 36.6 percent from the 3-point line. The Cavs acquired Alec Burks from the Utah Jazz in the Kyle Korver trade, but pretty much everyone in league circles knew the guard wasn’t going to stay in Cleveland for that long. The Cavs are getting Brandon Knight and Marquese Chriss, two players the Rockets acquired last summer from the Phoenix Suns. Knight missed all of last season with a torn ACL. He has two years left on his contract and is averaging 3.0 points this season. Chriss, meanwhile, is making $3,206,160 this season and will enter the open market in the summer. He’s putting up 1.8 points. JUST IN: What would a trade between the Cavs and Thunder look like?